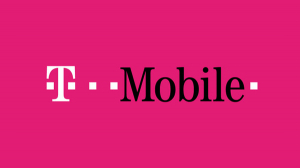 Shares of US mobile telecommunications carrier, T-Mobile US (Nasdaq: TMUS), rose early on Tuesday this week form backed by lower-than-normal trade volume after many analysts weighed in regarding the stock’s investing value. Its notable rise might also have something to do with US stocks, overall, opening slightly lower than expected, on Tuesday. The three main benchmarks, of course, fell back a little after coming abreast of the most recent record highs, Monday, with the S&P 500 Index down only two points: 0.1%, 2,326. Similarly, the Dow Jones Industrial average fell 34 points, about 0.2%, to 20,381; the Nasdaq Composite Index was down 8 points, about 0.1%, to 5,756. But T-Mobile’s buy rating from last week—reiterated by researchers at Jeffries Group LLC, this week—certainly seemed to help the company hold strong. The stock remains at a Buy rating with a 52-week high of $63.68, a one-year price target of $62.25 (approximately $1 higher than its opening price of $61.24) which has also motivated other analysts to make moves on its rating over the past few days. Typically, analysts assign “reiterated rating” reports on a stock only to issue other updates and a price target change later. Just yesterday, then, T-Mobile US, Inc had shares trading at $62. That is a spike in activity $1.10 higher than from the stock’s previous closing price. Over the course of the day, the stock opened at $61.24 but ranged from $61.14 to $62.84. T-Mobile US, Inc (Nasdaq: TMUS) now has a full market cap at 51.09B. In related numbers, the stock’s average daily volume is 4,146,930 shares out of a floating 287,218,000 with approximately 1,313,706 in all trading hands during yesterday’s activity. This is 66 percent lower than usual but analysts, obviously, anticipate that trading activity for T-Mobile will increase in the next few days and weeks, hence the reiterated “Buy” rating. Wells Fargo analyst Jennifer Fritzsche notes the company’s guidance for 2017 does hold some data that may be a bit conservative (read: disappointing). She notes that T-Mobile forecasts between 2.4 and 3.4 million net post-paid additions and that Wall Street expects the latter numbers. Will New FCC Chair Restructure Net Neutrality?